Made with really good stuff! Stuff that we would even eat! 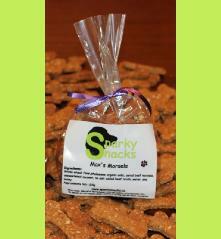 Max’s Morsels are mouth-watering cookies are great for any pooch who deserves an extra special treat ! They will make your pooch’s tail wag!